Dublin’s Little Green Cars are in the US to perform at CMJ in NYC. Catch them at the Hideout tonight. Yasiin Bey (Mos Def) plays the Shrine tonight. 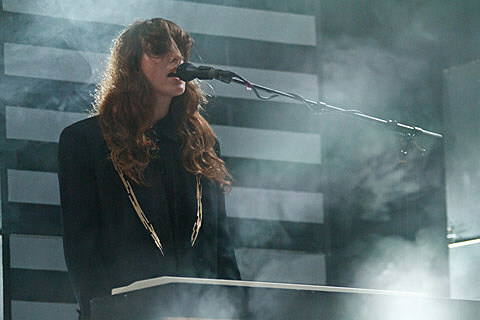 Beach House play the Riv tonight with support from Poor Moon. Social Distortion play their first of two shows at the Vic tonight. Neil Young & Crazy Horse and Los Lobos play the United Center. A$AP Rocky, Schoolboy Q, Danny Brown, and the A$AP Mob play the Congress Theater tonight. Watch Jessie Ware perform “Wildest Moments” and Sharon Van Etten play “Serpents” on Later With Jools Holland below. Death Grips have a new video for “World of Dogs.” Check it out below.